Informal wine tastings have been helping me find new wines to serve guests at our bed and breakfast. Through my friends at Cellar 55 Wine Merchants, my local wine shop, I have met a lot of the Sales Consultants who represent the major wine wholesalers. Their job is to go to retailers and restaurants and introduce the wines they sell. This can only be done by tasting all the wines. It doesn’t sound like that hard of a job, but of course professionals like these taste, but do not drink the wine. That is a skill I have had trouble mastering, since I always want to drink it. When Cellar 55 is open, one sales rep or another is stopping by about every other day showing either new wines or the latest vintage of stocked wineries. I am often there at the right time to get to participate. Since the Cellar is closed until April, while the team is tending their other business in the US Virgin Islands, I have been missing these weekly tastings. But the Sales Consultants still make calls on other businesses in Sandwich and sometimes stop by the Inn. Recently, Polly from Classic Wine Imports dropped by with some interesting offerings from Wente Vineyards. It’s nice to have friends in the trade. My blog followers may remember me mentioning Wente in previous blogs. I have not thought about or tasted Wente wines since an ill-fated San Francisco Bay sailing experience over the Thanksgiving Holiday in 1976. So over 35 years ago, at a tasting room in Tiburon, CA I had my first Wente wines. As I recall they were called Adequate Red and Adequate White and we concluded they were incorrect about the white. 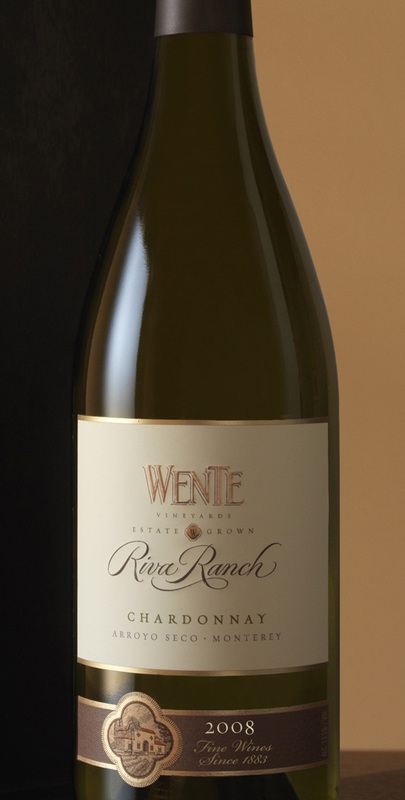 Just in the last year I have been reintroduced to Wente and in fact have written several blogs about them. On a recent visit, Polly shared some of Wente’s higher end, Estate Grown wines from their Heritage Block selections. Wente’s Heritage Block wines are grown in specific vineyard blocks named for the pioneers who relate to the history of Wente Vineyards’ winemaking tradition and premier Estate vineyards. We started with the 2010 Riva Ranch Chardonnay. It is a nice medium-bodied Chardonnay with a rich, golden color. I prefer Chards with less in your face oak and, although this sees 10 months barrel aging, it is very subtle and much to my liking. Next we had the 2008 Reliz Creek Pinot Noir. You may consider this more of Burgundian style wine with more earthy and mineral qualities. The grapes are sourced from vineyards that are planted with old Pommard clones, which paired with their wine making process supports the French style. It was just delightful. We finished with the 2009 Charles Wetmore Cabernet Sauvignon sourced from the Livermore Valley vines planted in the 1880. This was Jan’s favorite and she is not a big Cab drinker. It is a very drinkable and smooth wine. The old vines give it depth and intensity, but with low tannins. I am not sure how these reds will age, but they are very approachable now and would not last long in my cellar. We did not have food pairings with this impromptu tasting and all of these wines may have more surprises in store when enjoyed with a meal. Wente wines are way past that almost Adequate state of 35 years ago. Jan, Polly, and I sat around the kitchen counter and tasted these fun wines. What a nice way to spend time on a cold February afternoon and I think I found some new choices for guest at our Sandwich Inn. Come and stay with us and a friendly Sales rep my pop in with some wines to share at our wine kitchen.